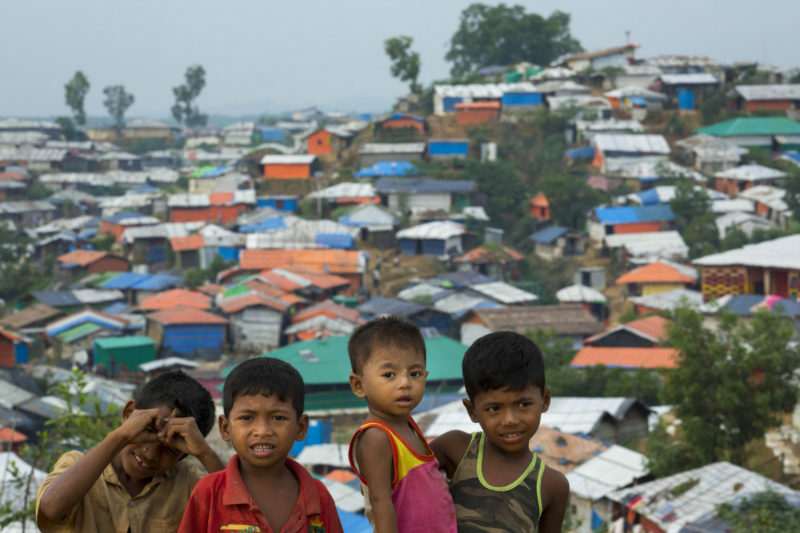 Oct. 14, 2018 — Rohingya children play inside a refugee camp in the city of Cox’s Bazar, Bangladesh. Photo: © Zakir Hossain Chowdhury/NurPhoto via ZUMA Press. It’s easy during the current heated U.S. election season to miss reports on devastating national events, like the news that the Trump administration has cut the number of refugees the nation will admit to 30,000 or fewer in the current fiscal year, its lowest level in 38 years. More than 68 million people have been forcibly displaced worldwide, with fewer than half of that total designated as refugees awaiting “durable solutions” like third-country resettlement. That means only a fraction of one percent of these refugees have a chance of arriving in the United States over the next year. With desperately few alternatives, they’ll wait in refugee camps and overcrowded urban centers throughout Turkey, Jordan, Lebanon, Iran, Pakistan, Bangladesh, Kenya, Tanzania, Uganda and Sudan. Many of the children in limbo will miss out on schooling as they wait. Futures and lives are on hold, dreams deferred. Given all of the turmoil in our nation and the world, it’s easy to shrug one’s shoulders, perhaps shed a tear, and say, “But what can I do?” There is so much that each of us can do, particularly when we think about and act within our own communities. Related: From the archives: Already languishing in red tape, refugee students now may be barred altogether from U.S.
A recent Reception and Placement Program Affiliate Sites map illustrates all of the communities in the United States touched by the global refugee crisis. Although many of these affiliate offices are now likely to be shuttered, each of the towns listed on this map has a transnational community of people who are building new lives in America, often while also supporting relatives and friends overseas who are unable to find safety because of restrictive policies and low resettlement program numbers. Within these American homes there are many children, and those children attend classes in our schools. This, then, is a great point of action. Supporting teachers, schools and students is a political action that ensures safety in our vibrant communities, enables the functioning — and perhaps even healing — of our damaged democracy, builds hope and fosters dreams that can lead to innovations that will make our world a better place. For teachers of refugees, the need for support is perhaps even greater than for other teachers. Most U.S. refugee educators have little or no special training to work with the diverse, often traumatized, usually well-behind grade-level though brilliant young refugees who enter their classrooms. I, myself, walked into a classroom filled with youth of refugee backgrounds in 2005. Despite my master’s degree and five years of teaching experience in rough-and-tumble New York City public schools, I was at a loss for how to meet the needs of my students from Iraq, Afghanistan, the Democratic Republic of the Congo, Sierra Leone, Somalia and Serbia. I spent years educating myself and then working to help support and educate my colleagues. I read books, blogs and articles. I watched films and attended conferences. I listened closely to my students’ stories and the wishes of their parents. I reviewed resources from graduate school. I talked and planned with colleagues. I experimented, failed often, succeeded sometimes. I taught myself what I needed to know to help my students achieve academically, socially and emotionally. It was — and still is — exhausting to stay on top of this. I liken it to a doctor trying to stay ahead of best practices in cancer prevention and treatment. The landscape is ever-changing, and there are never enough hours in each day. Related: Will high school segregation for refugees lead to better integration? Fortunately, there are now organizations like the Refugee Center Online and the Carey Institute for Global Good that focus specific support on teachers of refugees. I’m thrilled to be working with the Carey Institute to develop a Refugee Educator Academy that aims to provide rich learning opportunities to 10,000 refugee educators globally by 2025. We are set to launch an initiative focused on U.S. educators in the spring and the timing couldn’t be better. While this nation closes its doors to newcomers, our teachers must cultivate hope among those who are already here and help them build a world that will sustain them, as well as their friends and family in the United States and abroad. Research indicates that high-quality teachers in every classroom are the key factor in children’s learning. This is especially true for refugee children, who are often many years behind their peers in grade-level knowledge, are working to master the English language and are tasked with healing from past trauma — including being uprooted because of conflict — while also acclimating to a new country and culture. We can all make a difference by supporting these children, which means supporting their teachers and local public schools. Although it may seem out-of-step or too little in this volatile national moment when all eyes are on lecherous leaders and angry national politics, the daily actions we take to support students, teachers and education matter now more than ever. The moves we make to speak up for and support refugee, asylum-seeking and all immigrant youth and families are critical. Support one child. Lift up one teacher. Offer one book. Provide one pen. In this way, we create opportunity even when chances seem limited. This story about refugees and immigration was produced by The Hechinger Report, a nonprofit, independent news organization focused on inequality and innovation in education. Sign up here for our newsletter. Julie Kasper is a National Board-certified teacher of English as a New Language, and a University of Arizona University Fellow pursuing a doctorate in educational leadership. 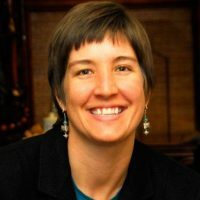 She supports refugee and immigrant students, their families and their teachers through her work in Tucson, Arizona, and on national and global levels with the Carey Institute for Global Good.